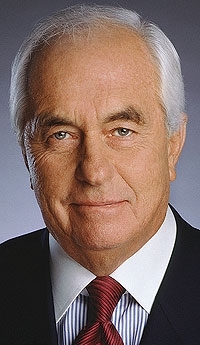 Roger Penske today confirmed reports that he has interest in General Motors' Saturn brand. But Penske, chairman of Penske Automotive Group Inc., emphasized that no offers have been made and hinted that GMs goal for a quick sale may not help a deal. While I confirm that we have an interest in looking at the future opportunities of the Saturn brand, Penske Automotive has not made a proposal to General Motors for this business, and the timeframe involved is extremely tight, Penske said in a conference call today. Penske, whose dealership group distributes Daimler AGs Smart microcars in the United States, is the second entity to express an interest in Saturn. In April, an investor group called Telesto Ventures said it wants to acquire Saturn's retail operations and provide dealers with vehicles from GM through 2011. After that, most vehicles would come from overseas manufacturers. GM intends to divest Saturn "as fast as possible," said Steve Girsky, the former Wall Street analyst whose S.J. Girsky & Co. is helping the automaker review potential buyers. He said GM is vetting the plans of a number of interested carmakers and dealer operators. He declined to comment further. The Wall Street Journal reported Penskes interest late yesterday. Penske, 72, is CEO of the suburban Detroit dealership group, which ranks No. 2 behind AutoNation Inc. on the Automotive News list of the top 125 U.S. auto retailers with 2008 new-vehicle sales of 171,872. The retailer, which has 149 dealerships representing 40 brands, today reported a profit of $16.2 million for the first quarter, down from $31.9 million a year earlier. Penskes U.S. auto holdings include truck leasing, logistics and auto racing. In 1988 he acquired the money-losing Detroit Diesel Corp. from General Motors and turned around the heavy-duty engine maker within four years. He sold the company to the former DaimlerChrysler AG in 2000. GM reiterated in a statement Monday that it has a number of potential buyers for Saturn and its retail network and will attempt to conclude a deal this year. GM, which is operating on $15.4 billion of U.S. government loans, is scrambling to unload underperforming brands, including Saturn, Saab and Hummer, as part of a sweeping restructuring mandated by the U.S. government. The automaker faces a June 1 deadline to convince the U.S. auto task force overseeing its restructuring that it has a viable business plan and merits additional U.S. aid. Telesto, a unit of private equity firm Black Oak Partners LLC, said last month that it has approached GM about buying the assets of Saturn and its distribution network. GM has confirmed it had been in discussions with Black Oak. Saturn went on sale in 1990 in an attempt to head off Japanese imports. The brands sales fell 22 percent in 2008 compared with 2007, while the U.S. industry as a whole was off 18.0 percent. Ryan Beene, Dave Barkholz, Jamie LaReau and Reuters contributed to this report.